TucsonCarFinancing.com, a division of Royal Automotive Group, is dedicated to helping those with credit challenges get Royal Approved in a vehicle loan that meets their needs and unique financial situation. Credit Challenged? Our team is experienced working with customers with a variety of credit challenges including first-time buyer, no credit, bankruptcy, divorce, limited down payment, etc. Owe more than your current car is worth? We can help if you are upside down in your current car loan. We understand that bad credit happens to good people and we firmly believe everyone should be treated with respect. We have long-standing, strong relationships with over 35 lenders that understand different credit profiles and share our dedication. Our lenders will provide flexible payment options to ensure your loan best meets your budget and provides you with the opportunity to keep your payments current. Consistent payments on your auto loan can actually help build your credit back up! TucsonCarFinancing.com is located at Royal Kia on Speedway and Columbus. 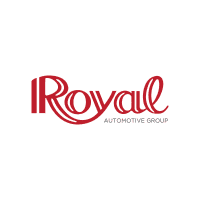 Our team has access to all of Royal Automotive Group’s inventory, that’s hundreds of new and used vehicles at our eight locations. No need to drive from lot to lot, filling out loan applications at each one. Once you are pre-qualified, our team with help you select a new vehicle from our vast inventory at any of our locations. So what are you waiting for? To get started, simply complete our online application. It is free and there is no obligation. Once we receive your application, one of our credit specialists will call you shortly to get Royal Approved! You could be driving home in a new vehicle today! Fill out a credit application and our team will work to get you pre-qualified. We’ve got hundreds of new and used vehicles to choose from and once you are pre-qualified you can shop with confidence, knowing exactly which vehicles you can afford. Once you have narrowed down your selection, come in to sign the paperwork and drive away in your new vehicle, confident in your choice and your loan terms. 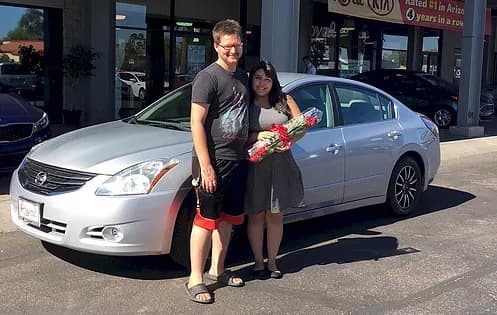 We needed a second car for our growing family and because my husband is a stay at home father with no income, we were running into roadblocks in getting a second car loan. Other dealerships were treating us like a “problem” and I was getting discouraged and very apprehensive. Melissa completely demolished those roadblocks for us while all the while making us feel extremely welcome and at ease. There was no pressure or stressful negotiations. Melissa knew what we were looking for, knew our budget, and got right down to work for us. When the lending company came back with a higher percentage rate, she even reduced the price of the vehicle to help us stay within our budget! Melissa is the salesperson customers dream of: kind, hard working, straightforward, funny, and very honest. Now we have a second vehicle and its one less thing to worry about for the arrival of our second child. I wish I had known Melissa when buying my first vehicle! Jennifer is a graduate of Northern Arizona University. Since joining Royal Automotive Group in 2012, Jennifer has helped over 8,000 people get into a new automotive loan. She specializes in helping credit challenged customers. She looks forward to working with you to find a loan that works for you financially but can also help build up your credit. “I have seen many families come to us with a challenging financial situation and a strong need for a vehicle. We can usually help them get that needed vehicle and through our guidance, actually improve their credit score.” I look forward to meeting you and listening to your specific needs, then working to get you Royal Approved! 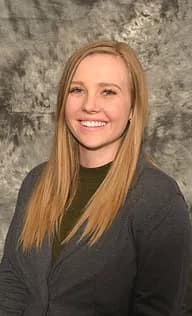 A Tucson native, Taylor has been with Royal Automotive Group for 5 years, helping hundreds of people purchase a vehicle. Taylor has successfully helped people with all types of credit challenges purchase a vehicle. Taylor will be your initial point of contact at Royal. 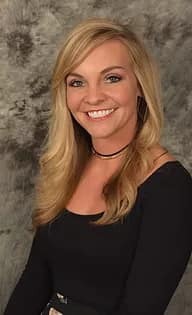 She will work with you to collect all the needed information and paperwork to ensure the purchase process goes smoothly. She will listen and provide solutions, working tirelessly to get each customer the very best deal. Once your information has been reviewed, she will set up an appointment for you to complete your purchase. Our team of on-site lending experts will make the process quick and painless, working diligently to get you Royal Approved!